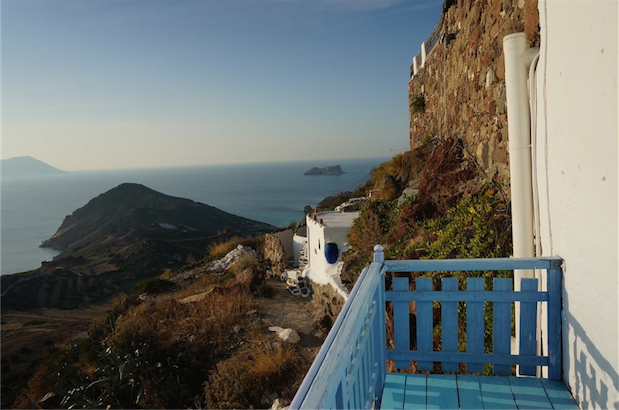 Easy access by plane twice a day in the summer time, (book well ahead!) 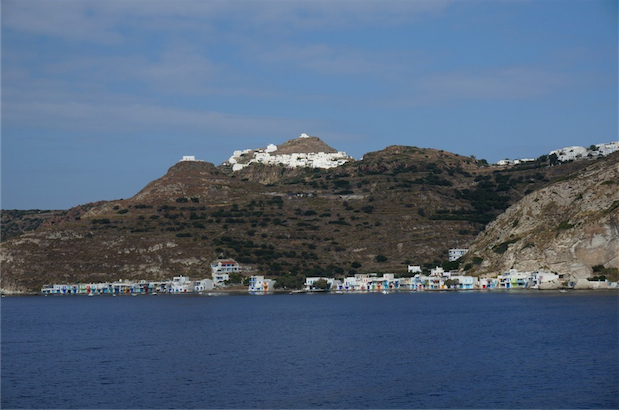 a Speedrunner that takes cars, a fast Seajet stopping off at Sifnos and Serifos, and conventional slow ferry boat. 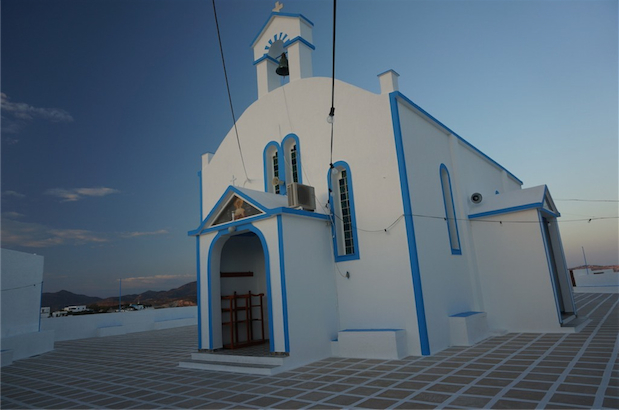 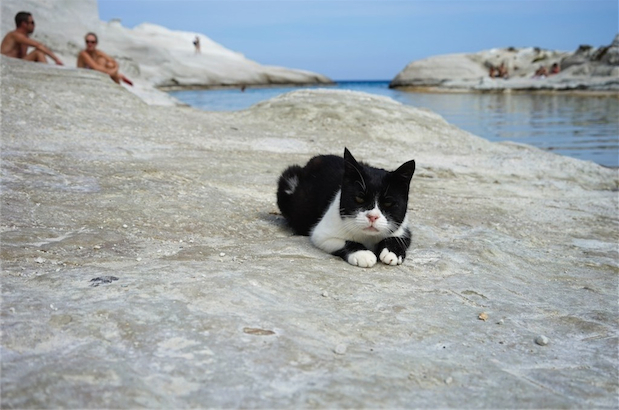 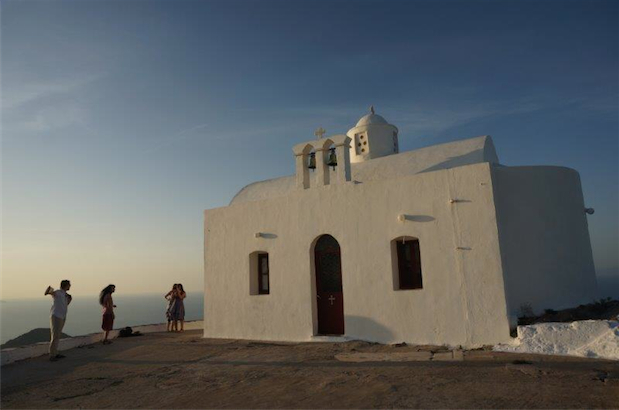 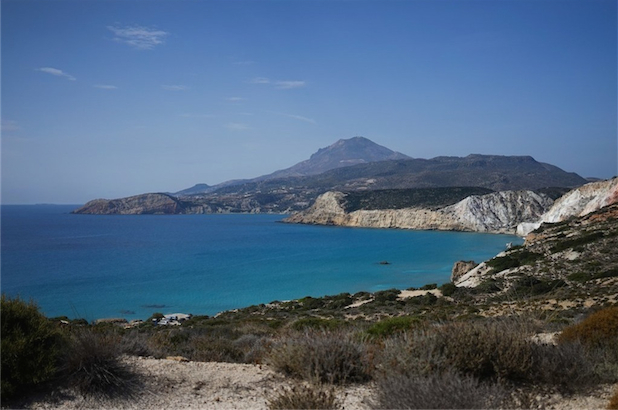 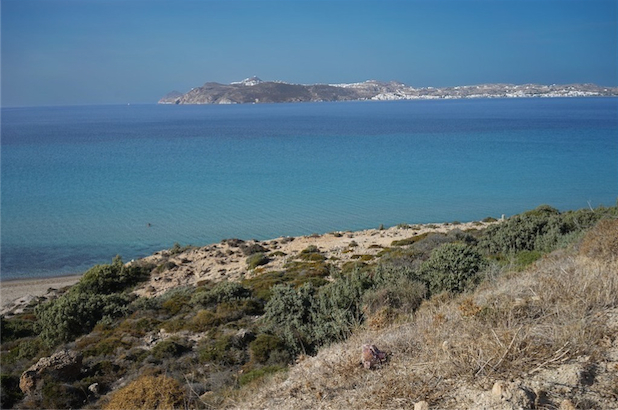 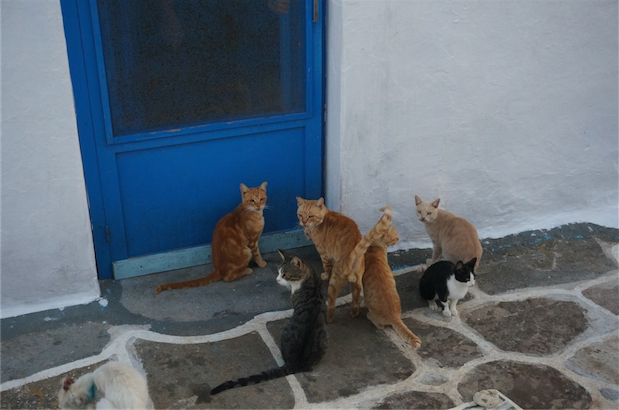 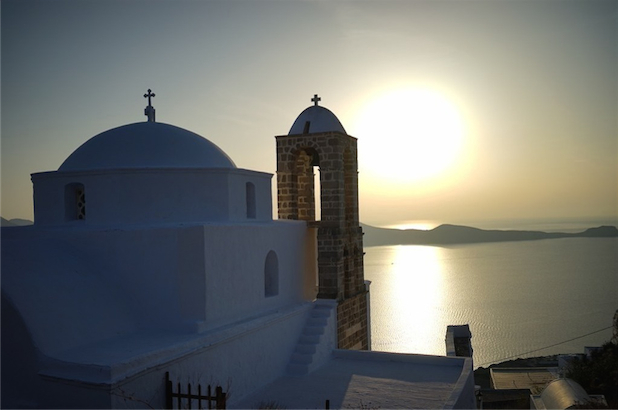 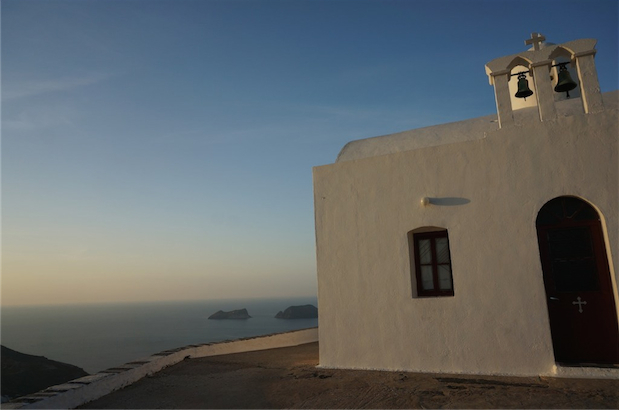 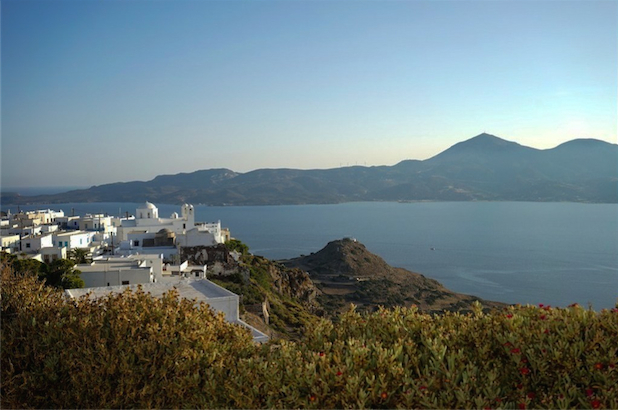 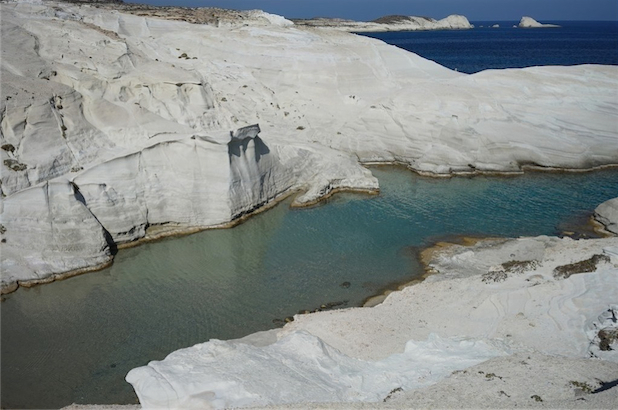 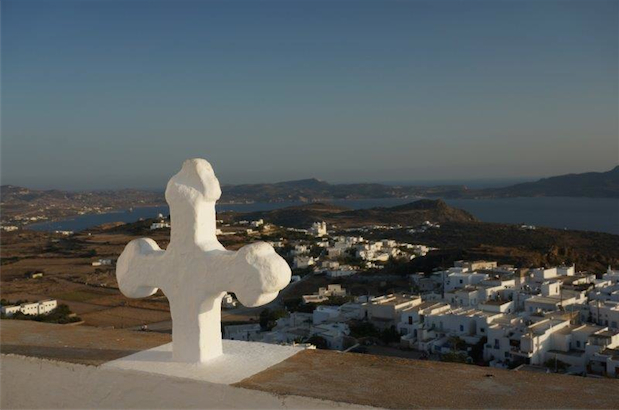 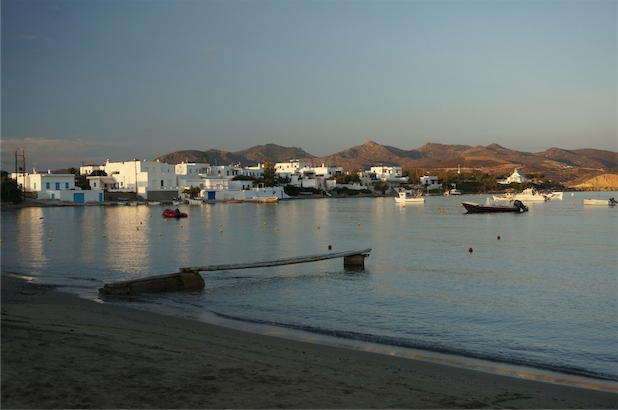 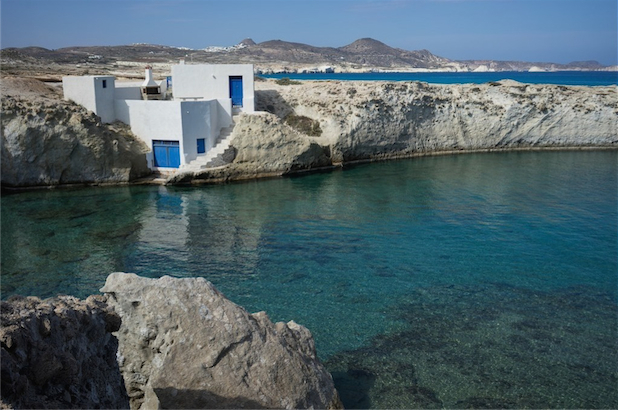 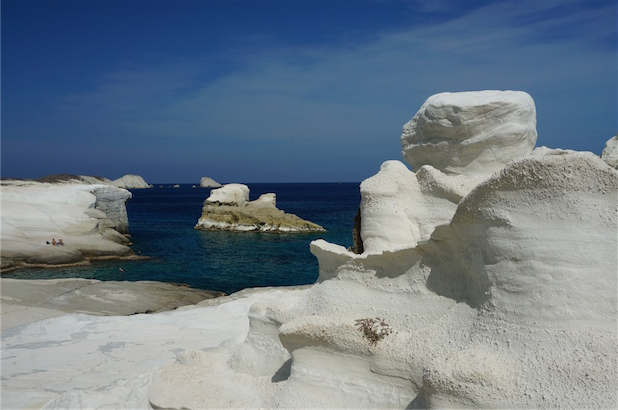 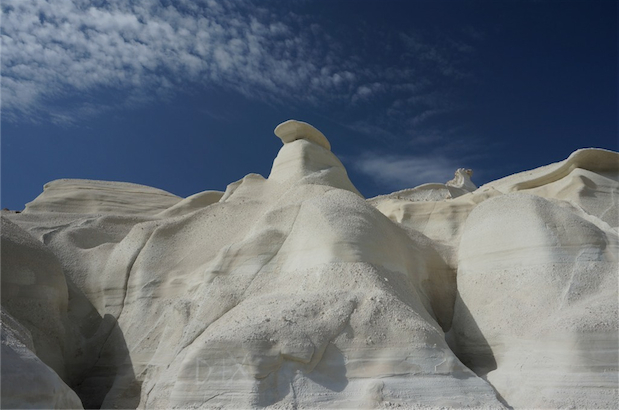 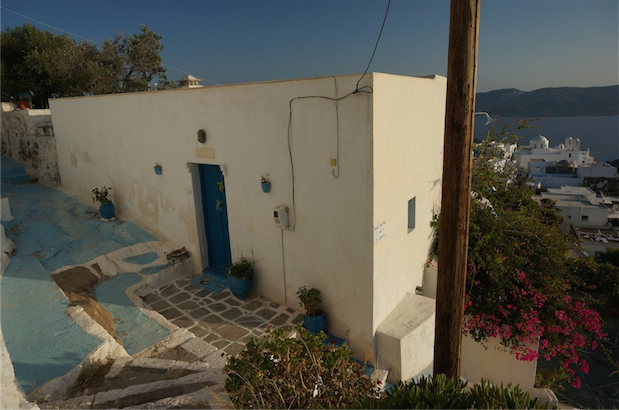 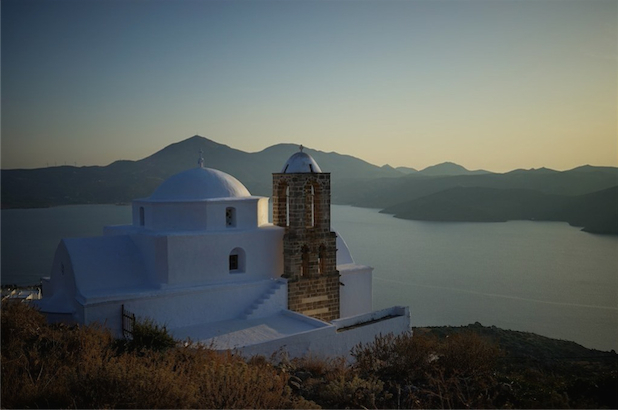 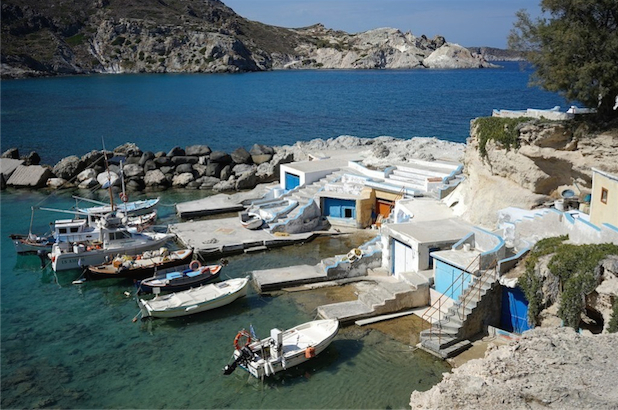 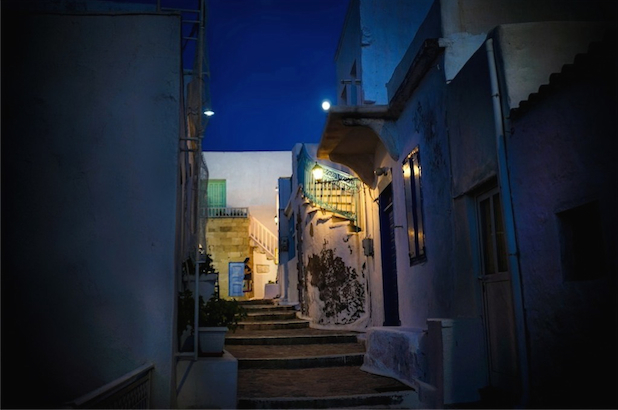 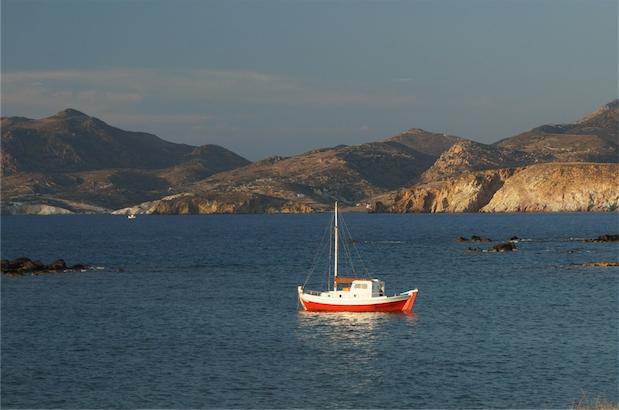 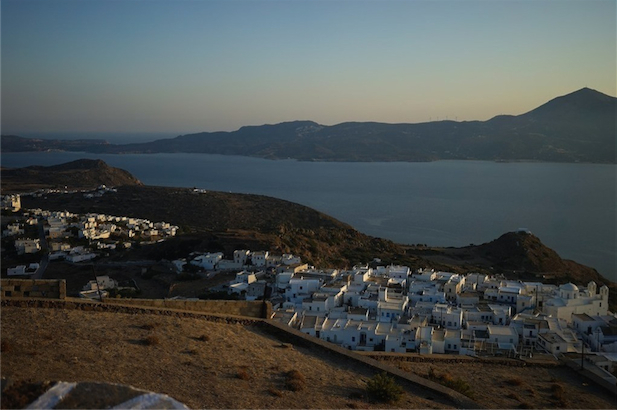 Island hopping: Serifos, Sifnos, Kimolos, Folegandros, Santorini and Ios are all connected to Milos by boat. 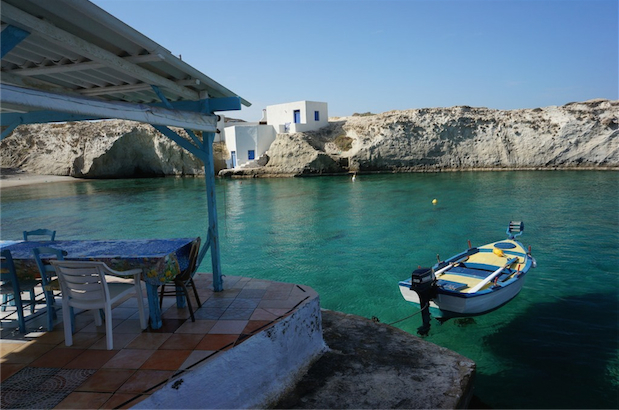 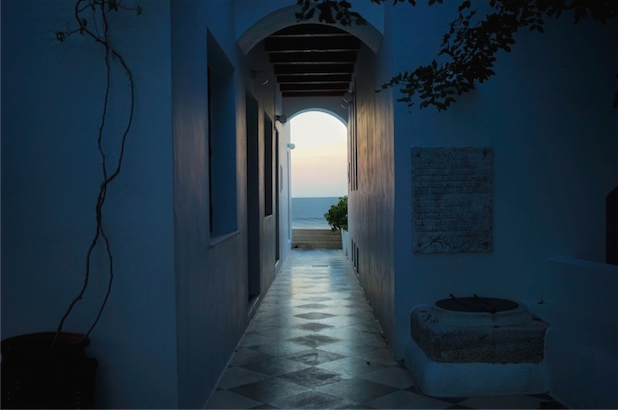 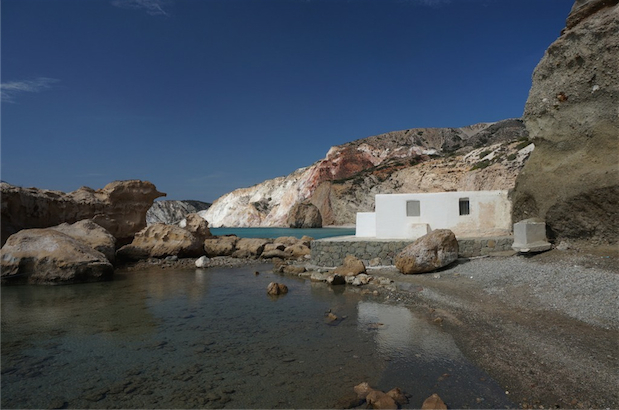 Good food – Milos attracts some of Greece’s best young restaurateurs for the summer season. 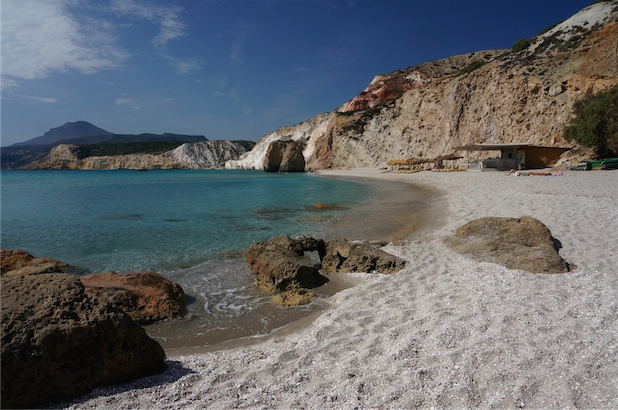 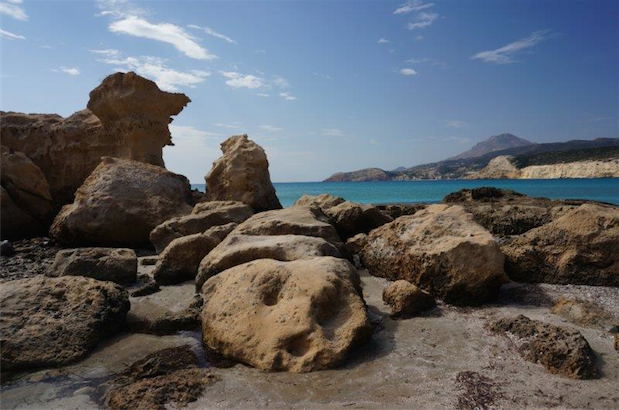 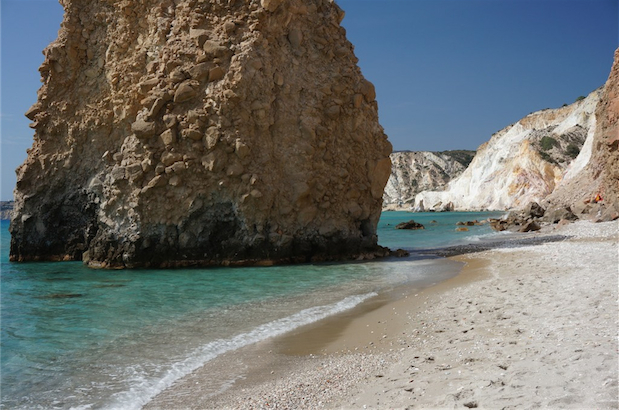 Superb beaches, some of the best in Greece, Mostly sandy and tiny colourful pebbles, more dramatic at the South. 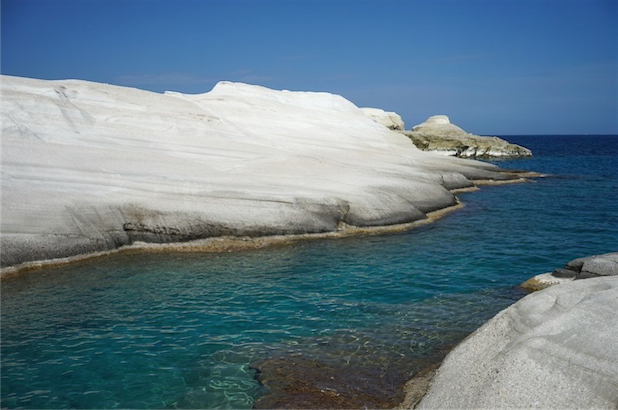 There are so many of them that there is always a beach to go to no matter which direction the wind blows. 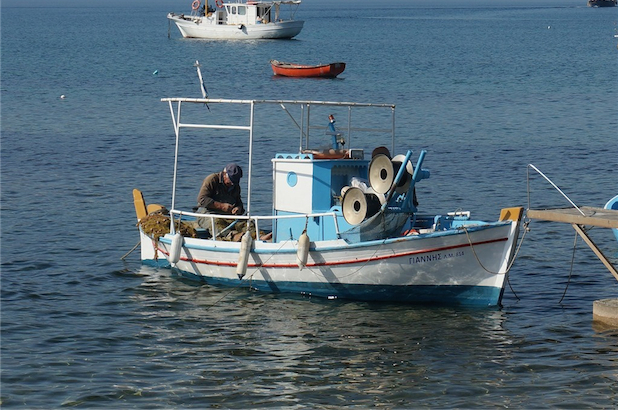 Quite a few are organized with watersports, and many have tavernas. 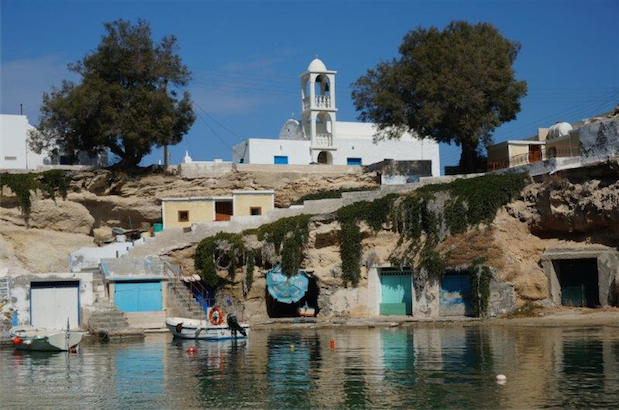 The fabulously picturesque waterfront hamlets in the north, like Klima and Fyropotamos with their brilliantly coloured boat houses. 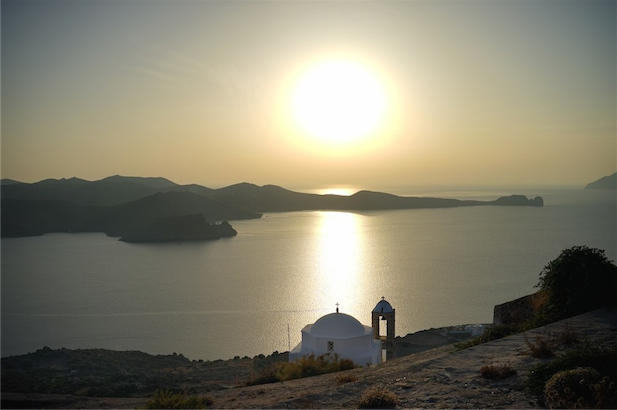 Sunsets from very picturesque and unspoilt village of Plaka, with views to rival Santorini’s. 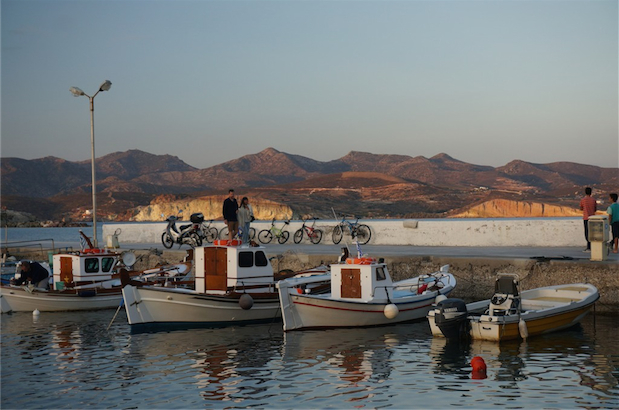 Gorgeous sunsets also in Pollonia by the sea. 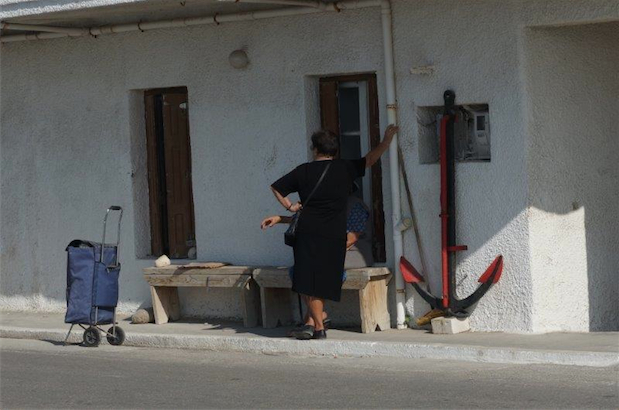 Excellent food in Pollonia, some of the restaurants are run by young chefs who cook really well. 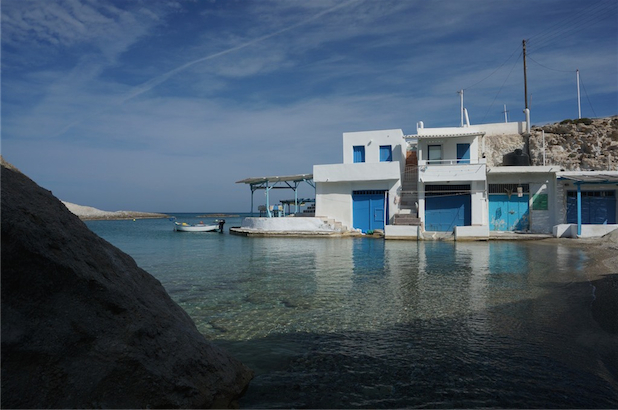 Some good places are: Gialos for inventive cooking, Armenaki and Armyra for more traditional food, and Liofyto. 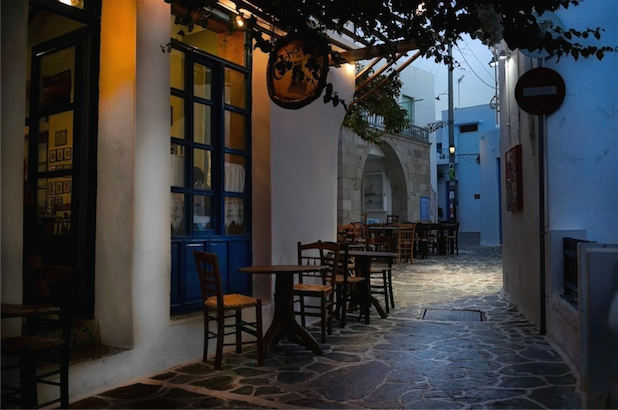 “Ice cream traditional shop”: for homemade sweets and pies. 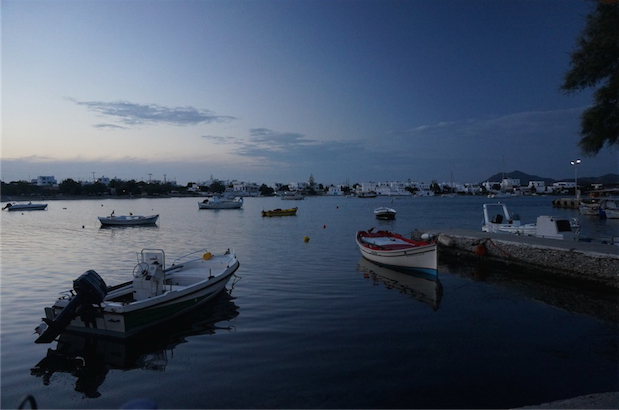 In Plaka: Diporto, Afentoula and try the Bar Outopia breathtaking views. 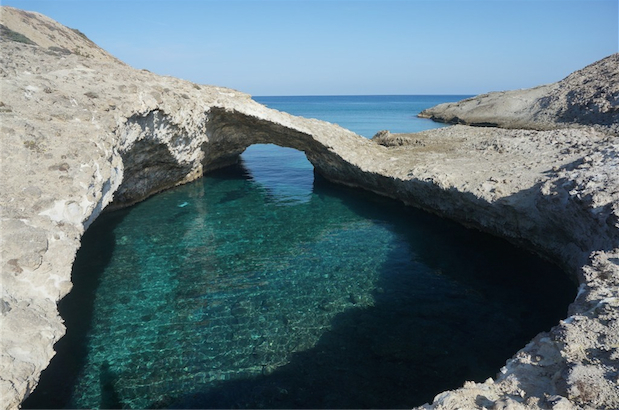 Papafrangas Caves with their electric blue waters. 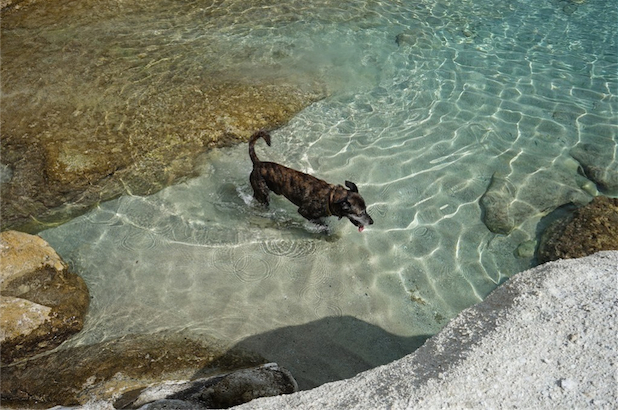 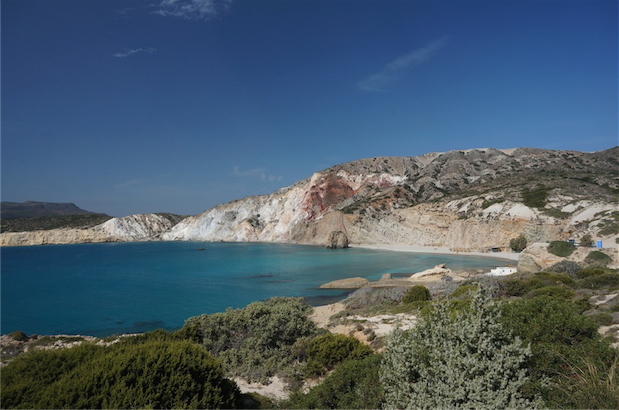 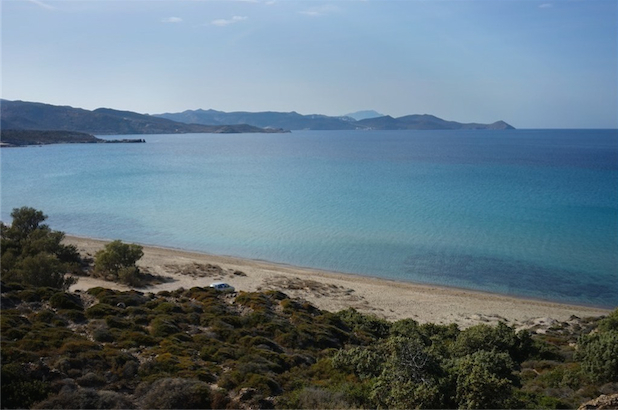 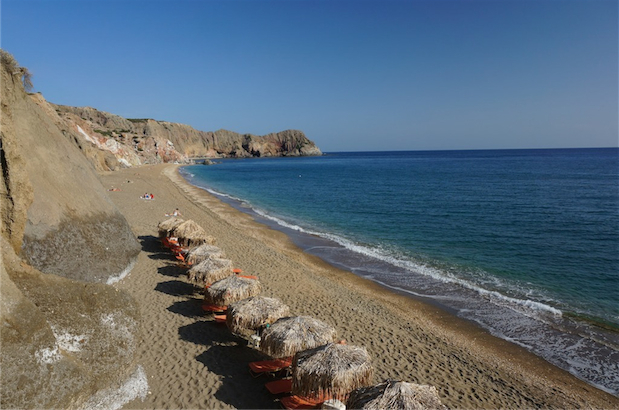 Plathiena Beach and Mandrakia cove for natural beauty spots. 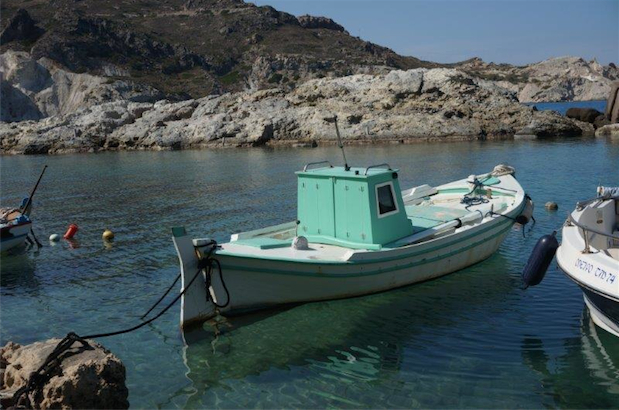 Fyriplaka for the most beautiful colours and setting of all. 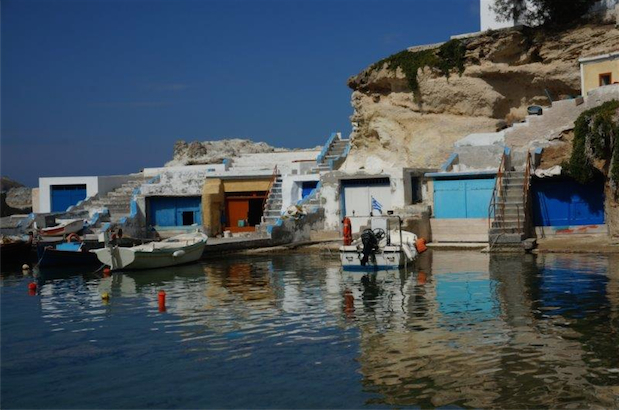 Take a day trip on a tourist boat or charter a whole boat yourself, and sail along the Southern coast beaches up to Kleftiko, and Papafrangas caves. 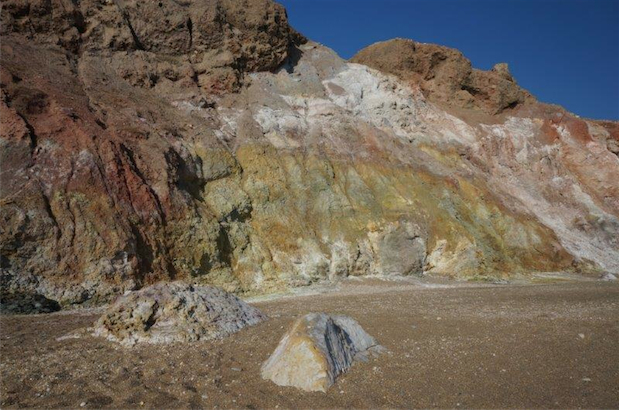 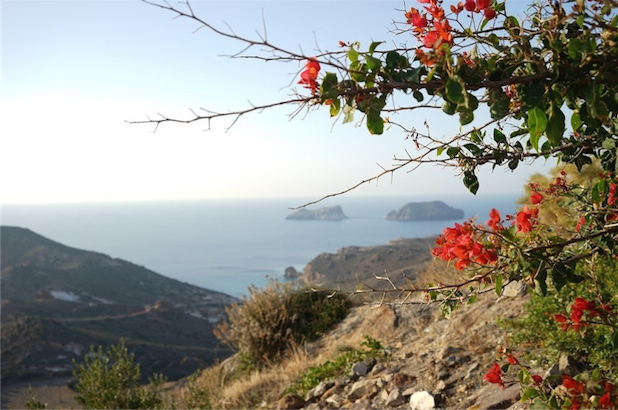 Scuba diving, sea kayaking, snorkeling, trekking to see the fumerolles of the extinct volcano. 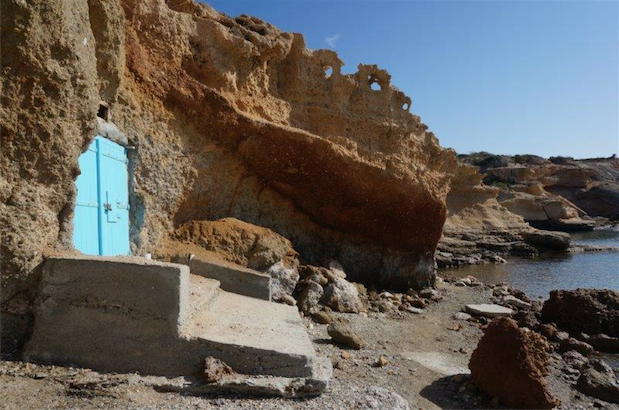 The early Christian catacombs near Tripiti are the second largest in the world after Rome. 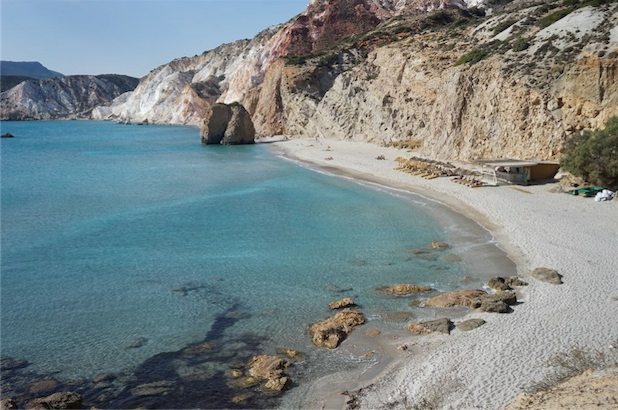 The Ancient Roman theatre which is sometimes still used.